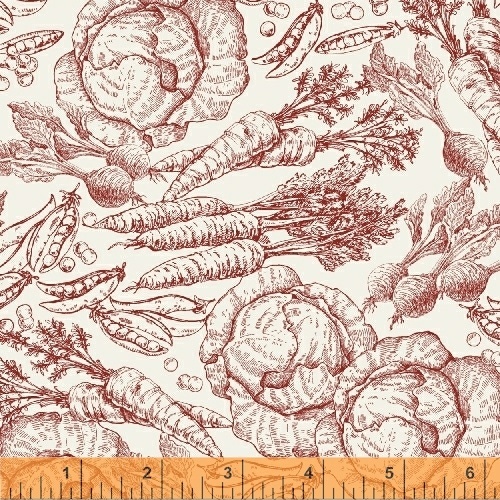 Market Place by Sue Schlabach shows off market fresh vegetables in a placemat perfect panel with accompanying all over prints. The classic green, brown and red color ways allow you to create beautiful projects for your kitchen or dining room that are sure to impress. Great for aprons and table runners as shown in the included project cards. 18 Skus. Delivery to stores October 2017.